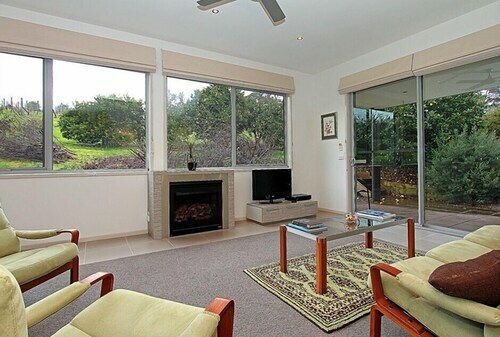 Situated in a rural location, this luxury guesthouse is within a 15-minute walk of Eldridge Estate of Red Hill and Redhill Recreation Reserve. Foxeys Hangout and Main Ridge Winery are also within 3 mi (5 km). 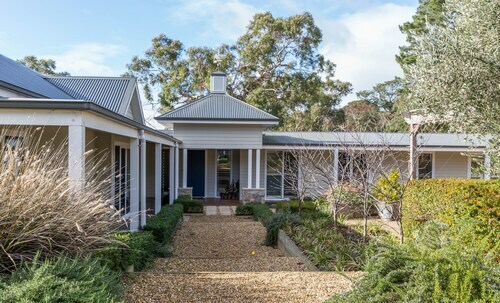 Situated in a rural location, this bed & breakfast is 0.9 mi (1.4 km) from Port Phillip Estate and within 3 mi (5 km) of Foxeys Hangout and Redhill Recreation Reserve. Eldridge Estate of Red Hill and Main Ridge Winery are also within 6 mi (10 km). 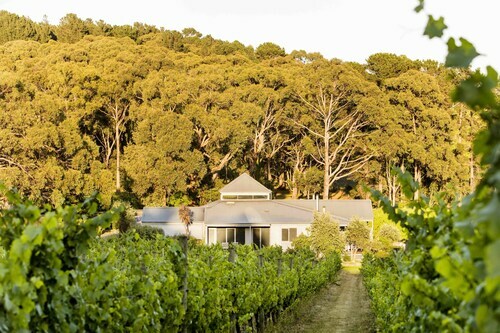 Situated in Red Hill, this cottage is 0.9 mi (1.5 km) from Ten Minutes By Tractor Wine Co and within 3 mi (5 km) of Main Ridge Winery and Ocean Eight Winery. Redhill Recreation Reserve and Foxeys Hangout are also within 3 mi (5 km). Situated in Red Hill, this apartment building is 0.9 mi (1.5 km) from Port Phillip Estate and within 3 mi (5 km) of Foxeys Hangout and Redhill Recreation Reserve. Eldridge Estate of Red Hill and Main Ridge Winery are also within 6 mi (10 km). Situated in a rural location, this luxury villa is 1 mi (1.6 km) from Port Phillip Estate and 2.5 mi (4 km) from Paringa Estate. Paradigm Hill and Ten Minutes By Tractor Wine Co are also within 6 mi (10 km). If you're considering escaping to Red Hill, there is a decent number of available hotels. Pick from any of the 11 found within 5 kilometres of the city centre. The Lindenderry At Red Hill and Dromana Holiday & Lifestyle Village are just a few of several fantastic accommodation options that are near the main hustle and bustle. You'll discover the neighbourhood of Dromana only 4 kilometres from the city. 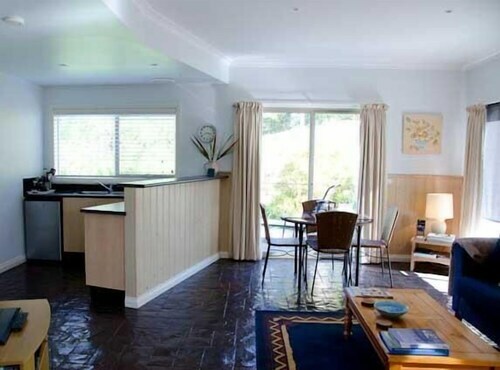 It's home to 3 available hotels, examples of which are Lakeside Villas at Crittenden and Kangerong Holiday Park. Summit Views and Anderida are a few other accommodation choices that you may like to take a squiz at. They are located in Arthurs Seat, which is another locality 5 kilometres away from the city's core that has 4 available options to pick from. 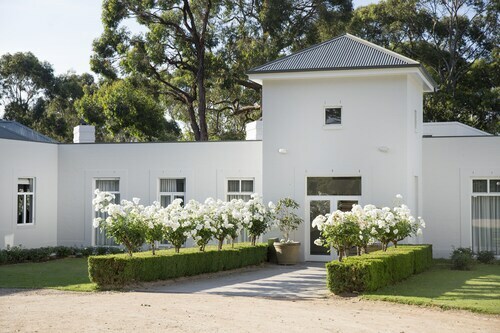 Wine lovers should definitely head to Eldridge Estate of Red Hill. Learn about the different grape varietals and the process used for bottling, then discover your favourite blend in a tasting session. If you want to see this attraction and would like to spend a night or two close by, take a look at Stony Creek Cottages and Polperro Villas. See some of the things that Red Hill Cheese has on offer. You never know, you might come across an amazing present for that special someone, or even yourself. You can stop by this place everyday, especially if you stay at Morning Sun Vineyard and Hummingbird Eco Retreat. 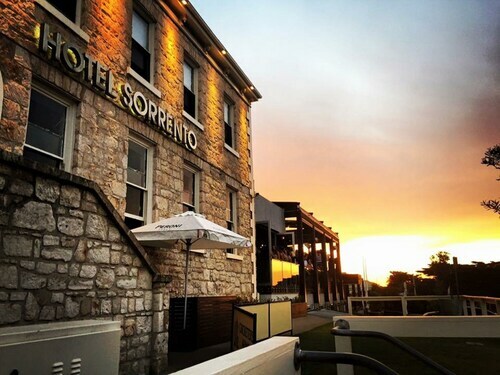 If you find yourself searching for more options in Red Hill, consider the Clifftop Boutique Accommodation and the Flinders Hotel. They are located 25 kilometres and 12 kilometres away from the city's main streets. Others include the Aquabelle Apartments, 17 kilometres away, and the Beach Holiday Apartments Rye, 17 kilometres. The close by localities of Boneo and Fingal are worth going to. Boneo is 11 kilometres to the southwest of Red Hill, while Fingal is 15 kilometres to the west. Boneo accommodations are the Fairways Resort and Rosebud Motel. Fingal choices are the Sunny Side Up B&B and Harmony Bed & Breakfast. If you are transiting into or out of Tullamarine Airport and choose to stay nearby, check out the latest deals at the PARKROYAL Melbourne Airport or the Holiday Inn Melbourne Airport. How Much is a Hotel Room in Red Hill? 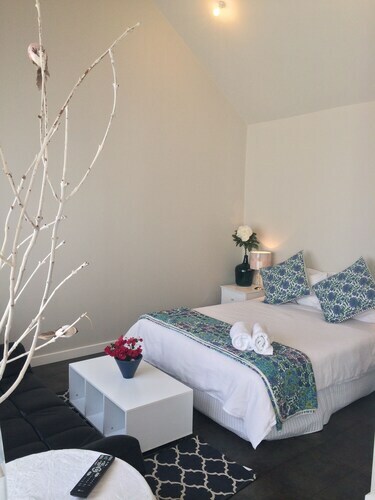 Hotels in Red Hill start at AU$345 per night. Prices and availability subject to change. Additional terms may apply. Place was great value. Only criticism was that the property owner can be tricky to contact or have her return calls. We enjoyed our time at the resort , the cabins very comfortable and in such a lovely bush setting.